Trying to come up with healthy lunch ideas for kids is hard. I was struggling with it and so I did some research. Here are some of the easy healthy lunch ideas I’ve found. I never know what to put into my kids’ lunchboxes. I want their lunches to be healthy. But they have to be tasty too or else they won’t eat anything. These healthy tasty lunches also need to be quick because, as hard as I try to get pack lunches the night before, I’m usually tossing food into insulated bags at 7:53am in between slugs of coffee. I’ve decided to help myself out by spending a few minutes doing some research to find some healthy lunch ideas for kids. I found a whole bunch of lunch recipes and tips as well as some sources of inspiration. 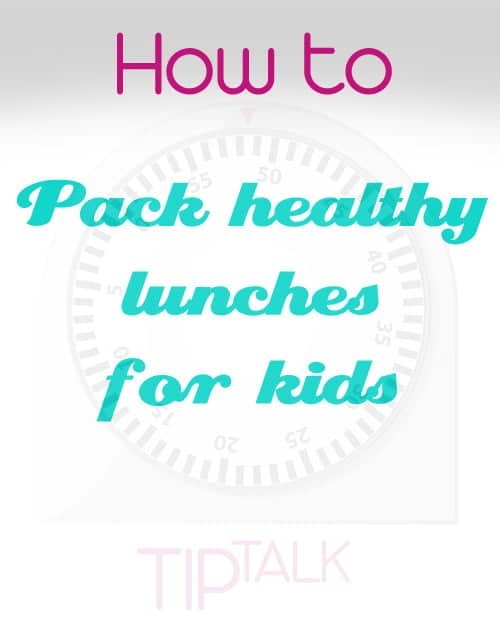 First off, I found this video about the basics of what to pack in a lunchbox by Monkey See. It’s not an exciting video (sorry) but of all the videos I watched, it gave the best basic information about what my kids need and why. Then I decided to get some of those Bento lunch containers. I got two of these basic Ziplock brand ones and two slightly fancier ones (like these). I hypothesized (and so far I’ve been right) that the divided containers would make it easier for me to think in terms of Protein, Vegetable, Fruit, Healthy Fats (the four things I’m aiming for in the lunchboxes). The divided lunch containers have also made it easier to construct the kids’ lunches. I don’t have to think about a main “entree” item and sides. Instead the lunch can be built from a bunch of equally important pieces. Next I did some searching around Pinterest for boards to inspire me in my lunch routine. I found so many. Pinterest really is amazing. Finally, I scoped out some of my favorite blogs to see what kinds of lunch ideas are floating around the blogosphere. My bet is that I’m still going to be running around like a fool in the mornings to get lunches made. But now I know what I’m aiming for in those lunchboxes and I have a bunch of recipes to try and places to go for new inspiration. Phew! Mornings just might get easier. Tell me, where do you find new healthy lunch ideas for kids and for yourself as well? I’d love to know how you decide what to put into that lunchbox. Scroll down to the comments section and let me know. Disclosure: The links to the divided containers above are links that go through my Amazon affiliate account. That means that if you buy anything after clicking there, I will get a small percentage of the sale. All opinions are, as always, my own. Thanks for the great lunch ideas and the links! I tend to just browse google images for bento ideas and also use my kids toys as inspiration! Sam, I love the idea of using kids’ toys as inspiration. I’m going to be looking at their toys in a whole new way now! I have one or two days a week when I am gone from home from breakfast through dinner, and so I’m constantly on the lookout for lunches/dinners that travel well for me as well as my five-year old. I started a Pinterest board just for food that tastes good cold, since frequently I won’t have access to a microwave. That’s how I found items like oven omelet with chicken apple sausage and sweet potato crust, and paleo coconut chicken tenders. I also got a lot of great ideas from Smart School Time Recipes, which I downloaded as an ebook. Unfortunately my kid has a very narrow palate, but I have a few favorites from that book just for me! My favorite lunch containers are Easy Lunchboxes (easylunchboxes.com–it’s a fun website with a photo gallery of lunch ideas–or also on Amazon, perhaps you can add them to your affiliate site). They look like the ziploc containers, but are heavier bpa-free plastic, microwave safe and dishwasher safe. Originally I wanted one of those plastic bento style sets with customizable dividers, but quickly realized that fewer moving parts + dishwasher safe are major pluses! I successfully packed healthy lunches and snacks for myself for a three-day conference away from home using these containers, transported in a cooler and kept in the hotel room mini-fridge (I ate the free breakfast and dined out at night). I love your iphone idea! I should take pictures of my kids’ lunches as well. Although, I don’t think they’re always that interesting. I’m going to check out easy lunchboxes now. Thanks for the link! Love all the recipe ideas for lunches! Even adults need healthy lunch ideas too! ;) Thanks for including my recipe in the round-up! Such a great repository for school lunch ideas! I purchased a compartmentalized Sistema lunch container for my grand-daughter this year. She loves it!